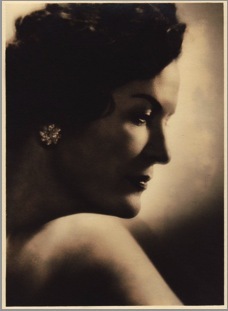 The Leda Jewel Co was named after my favorite Aunt Leda (my namesake in Russian) who loved and collected jewelry – indecent amounts of it actually. With Aunt Leda in mind, and having studied traditional gold-smithing techniques to earn a “Jewelry Arts” diploma, I revived my long-held passion for jewelry making and gemstones. As a lover of rocks and gems, I find a lot of beauty in imperfection. 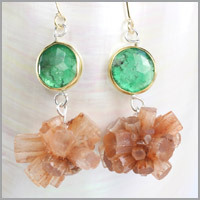 All the gemstones for my pieces are diligently sourced and hand selected by me, with an emphasis on rose cut gems. I also use fossils, geodes, stalactites and raw crystals in my work to create one of a kind and limited edition expressive pieces. All the pieces I create are hand crafted (by me! ), using recycled gold and silver; the diamonds are conflict free. The goal for my jewelry is to bring personal meaning (perhaps serve as an amulet) and joy to the wearer with artisan, very limited edition and one of a kind pieces. I often fall in love with my pieces and sometimes actually weep when one of my favorite baubles finds a buyer! It takes a special person to appreciate this type of work; I take solace in knowing the jewelry goes to good homes. A huge thank you to all the guardians of my pieces. I am seriously just so excited to have found you! I have been searching forever for someone who makes exquisite jewelry, appreciating and accentuating the natural gems and their beauty. I really was not a fan of jewelry until I found your shop. I never wanted jewlery as gifts or ever had the urge to buy any for myself – all of the jewels from other stores seemed so generic, processed and lifeless. You bring life to the jewels with your artistry!! I feel energized when I wear your creations, like they’re a beautiful, natural part of me.